The way companies work is rapidly changing. On average, companies use over 1,000 tools to run their business, and although plenty of informational tools are designed to help workplaces succeed, none of that matters if the tools are not easy to navigate. It’s critical to effectively gather, organize, and share information to improve the knowledge base of the entire team, promote transparency, and drive performance. As more digital natives and remote workers contribute to the workforce, they expect information-sharing to be accessible and free-flowing. Collaboration tools like Slack help companies and employees adapt to and drive change by facilitating efficient information flow so that people work the way they want to. Recent research by Kelton Global for Slack surveyed more than 1,400 U.S. knowledge workers (500 of whom are Slack users) and found that only 31% of workers are “extremely satisfied” with their current work communication tools. Unsurprisingly, 76% of respondents said they hope to have more communication tools available to them in the future. Further, the study found that Slack users are more likely than non-users to say they are satisfied at work (47% vs. 37%). 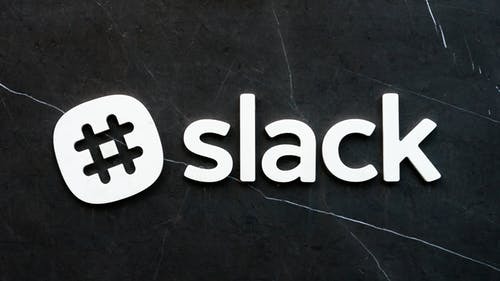 One key reason may be the sheer number of uses for Slack in the workplace: file sharing, integrations with favorite tools like Salesforce, Jira, and Google Drive, and real-time decision-making with team members, no matter where they work. Slack believes that the best work happens when information flows freely and is easily accessible, which builds trust among teams. Slack tries to make the tools in such a way that allows the information to flow around the team freely. If you are a Slack user, you have noticed that the information comes out of the memo-style email chains and makes everything appear conversational. This platform then becomes a place to collaborate on projects or receive company updates. It can become a hub for company culture if you don’t have someone monitoring your team. Seemingly minor features like custom emoji, social channels, and team rituals create camaraderie and connection that may be hard to convey through email or static documents. Keep the slave-drivers off the channel so your team will use this platform in the way it was designed — for work — yes — but for human connection, as well. How can you make collaboration tools like Slack work faster, harder and smarter for your team? Below are six customizable Slack features you can tailor for your organization to ensure every member of your team has to access to the information they need to do great work. A channel is a designated place for messaging, tools, and files for a given topic. Pulling conversations into channels of your Slack workspace is the first step in bringing order to the chaos, and they are where most of your team’s communications and daily work take place. Channels can be organized around anything, and you can create as many as you need. At any time, a team member can create or join a channel to rally around a project or event, and then archive it once it’s done. When team members have a collaborative space to ask questions, identify challenges, and make decisions, progress can happen that much faster. This kind of transparency is also an asset for executives and other cross-functional team members on the lookout for insights and information, such as what’s working well or what processes need refinement. Channels further break down barriers in organizations, whether geographical or informational. In channels, the right people are included in the conversation, relevant information is in one place, and new team members can get up to speed quickly and easily. With public channels, you’re able to open the conversation across departments and staff to openly communicate and collaborate on special projects. Anything posted in a public channel is browsable and searchable by all members within the workspace. Are you working through some sensitive content? You can create a private channel that won’t be searchable or browsable by the entire workspace, and instead only accessible to specific team members. Channels can be created, prioritized and archived at any time, by team, project, location — whatever is needed — even shared securely with outside vendors. By using Threads, you can manage the noise in a given channel. Threaded replies and their data stay connected to the original message, and only those who have contributed to or are following the thread will be notified. Thread was a top-requested feature, and after months of internal testing, it became a favorite with all other Slack users. Sometimes the thread feature is used for a more in-depth discussion around specific topics – “going down the rabbit hole” as you may say – without clogging the rest of the channel. Threads allow users to clearly tie your thoughts and feedback to a specific message or file; encourage open discussion without distracting others; and organize conversations and preserve meaningful context. Threads are most frequently used in busy channels with hundreds of members, where it is more courteous to contain extended discussions in Threads instead of the central channel conversations. Apps + bots integrate with all the latest apps and services you use every day. Pipe in Twitter feeds by installing Twitter via Slack’s App Directory to keep up with the latest trending news or use AirTable to track and see when content is in progress or completed. Apps can help your team stay productive and motivated. It all flows into the stream of conversation so everyone can see it—or act on it—inside of Slack. For the Slackbot side of the app, you can use a direct message or be on a channel with your teammates. This Slackbot can be used to help find answers to your questions about Slack, to add customized automatic responses, or to access personal reminders and tasks. You can also customize bots to best suit your team needs. Custom bots can send DMs, can be mentioned by users, post messaging or upload files, and they can be invited to channels (or kicked out). It’s simple to connect with a teammate (or up to 15 people on a paid plan) on a voice or video call on Slack. Make a voice call, join by video, share your screen, and more. You can also use make voice and video calls with integrations like Google Hangouts and Zoom. Emoji is a fun way to convey a broad range of emotions efficiently. Whether using them to review and approve workflows or personalize and add context to digital conversations, emoji express ideas efficiently in a way that words sometimes can’t. As Christina Janzer, Slack’s Director of Research and Analytics said, “Think about the difference between responding to someone with ‘That’s fine.’ versus ‘That’s fine 😊.’” Emoji are not only fun and light-hearted, but efficient. Whether your team has 10 or 100 members, emoji reactions limit the need for written replies, reducing the total number of messages sent. Search messages, files, and more are easily searchable in this app and indexing is automatic. With filters, you can refine your search results by people, channels, messages, and dates, or add modifiers to get more specific. Search to get context on a past project, find a previously approved file, or to help new hires get up to speed. All messages in public channels and file uploads become indexed and searchable once inside Slack, giving your teams access to the collective knowledge of the company. Unlike email, you don’t need to remember who sent what, when, or exactly what the thread was called. The more you work in Slack, the smarter Slack’s search becomes, making it easier for you to find exactly what you’re looking for. For companies looking to stay competitive and keep employees engaged, information management is essential for productivity and success. It’s essential for leaders to facilitate effective collaboration, and I believe that in the next five to 10 years, most organizations will use some kind of collaboration hub to drive the future of work. Understanding how collaboration tools can help your business communicate more effectively is an enormously important part of keeping your team morale high — and getting the job done.